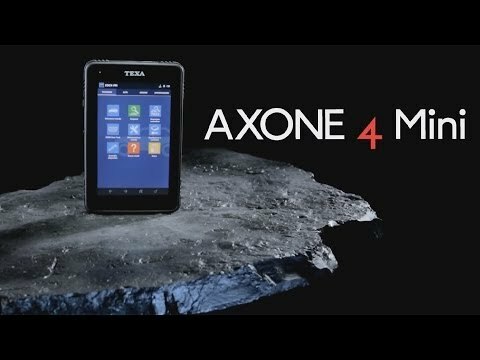 AXONE 4 Mini - Compact and super-technological - TEXA UK Ltd. The refined styling of this innovative tool is centred around a generous 7 inch resistive touch screen offering a record resolution of 800x1280. A practical and extremely robust solution (IP 42 Standard), the AXONE 4 Mini is ideal for tough workshop environments. AXONE 4 Mini is not just attractive. It’s amazingly robust too. It is designed to conform to military standard MIL STD 810 and can withstand use in the tough, hostile environments often encountered by the professional mechanic. The AXONE 4 Mini is manufactured on ultra-modern and fully automatic assembly lines that apply extremely tough quality controls and ensure total product traceability. TEXA is one of only a few companies in the diagnostics sector to be certified to ISO TS 16949, the standard demanded of OEM suppliers to the automotive industry. TEXA rigorously tests all of its tools. A series of purposebuilt machines are used from the design stage to replicate common functions thousands and thousands of times, simulating a whole lifetime of use in the workshop. Monitors, keypads and composite parts are subjected to the most intensive stress tests, which are also repeated on samples throughout the production phase. TEXA pioneered wireless connectivity to make its diagnostic tools incredibly practical to use. The AXONE 4 Mini connects via Bluetooth to TEXA diagnostic interfaces, exhaust gas analysers and measurement devices, leaving the user completely free to move around the vehicle. The latest generation Wi-Fi system allows TEXPACK subscribers to speedily download updates. EXCEPTIONAL SIMPLICITY: the icon menu allows you to see all the available functions and applications and to select them with a simple touch. INTEGRATED TECHNICAL INFORMATION: the wiring diagrams and the mechanical data are perfectly integrated for a complete and reliable diagnosis. UNBEATABLE AUTODIAGNOSTICS: The most extensive coverage, with over 350,000 selections. Continuous input from TEXA’s worldwide development team lets you perform detailed diagnostics on all brands of vehicle. The AXONE 4 Mini offers a whole series of advantages compared to a standard PC. To start with, the tool is specially designed for use in vehicle repairs. This means it is robust, water-resistant, easy to handle, practical to use and loaded with an operating system that is immune to viruses and free from problems of compatibility. Fast diagnosis is essential to the modern garage, and the AXONE 4 Mini is a real rocket! Thanks to its powerful new hardware and optimised components, it represents a major improvement on the already excellent performance of the previous generation of TEXA tools. TEXA has always supported its tools with a wide range of services. These services keep TEXA tools up to date with the latest innovations in automotive technology, provide practical troubleshooting assistance and guarantee mechanics all-round competence in their field. The TEXPACK annual contract provides updates for all environments, while TEX@info provides access to the latest technical bulletins, the “SOLVED PROBLEMS” database powered by Google, the Call Centre and iSupport. TEXA also runs a virtual store that can be accessed directly from TEXA software, in which users can request the activation of a large number of apps for the world of vehicle diagnostics and repair. Click the link below to find out more about TEXA’s services. 802.11b/g/n Wi-Fi on internal module.